We have something brand-new for you! 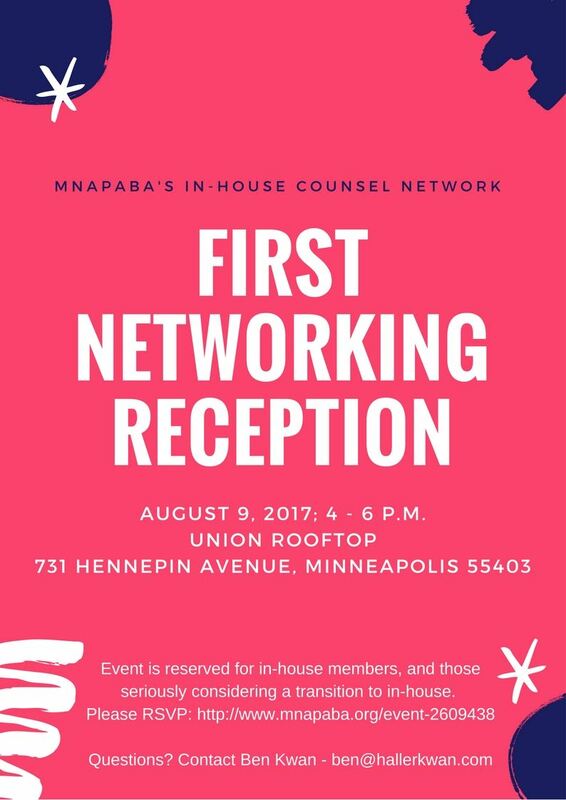 Please join MNAPABA's In-House Counsel Network at the Union Rooftop in downtown Minneapolis on Wednesday, August 9, 2017 at 4 p.m. This members-only event is intended for MNAPABA's in-house members, and those seriously considering exploring in-house opportunities. We're continuing our work to build community!